When it comes to laundry detergent it has to smell good! You can never go wrong with any of the Gain scents. P&G has aced each and everyone. 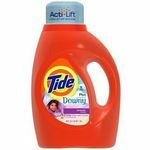 I use Gain laundry detergent, fabric softner and dryer sheets for most of my laundry needs. It gets the clothes clean, smelling fresh, feeling soft and does not fade. You do not need a full cap full either 1/2-3/4 does just fine for big loads. It's also very affordable for a well knwon name brand. Though it is made for laundry my daughter loves to use it to make slime. It givces the slime the right texture and smells amazing. Overall a really great product would definetly recommend to anyone who has not tried it before. I love how gain makes my families clothes smell! People always comment on how good they smell! Gain laundry detergent is amazing! It takes the odor and grime out of my six munchkins clothes! My kids and myself have sensitive skin and this detergent does not cause any irritation at all! 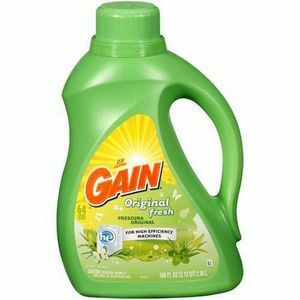 I always use Gain original for my laundry needs. Leaves your clothes smelling great and clean. Gain has been a staple in my household for years. It wasn't what my mom used when I was growing up, but when I got old enough to do my own laundry and buy my own detergent this was what I chose. 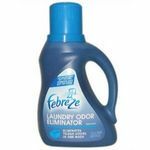 I love the clean fresh smell that it gives my clothes and it cleans very well. It's the original and it's the best... always will be in my opinion. Gain is a bit on the pricey side, but I believe you get what you pay for when it comes to the detergent. 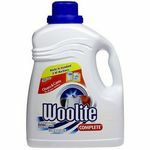 I love to try different detergents, but I always come back to this one! Well I use it in my everyday laundry needs. I like the smell of fresh clean laundry and it makes me happy. It has a crisp scent one anyone could enjoy. Gain is a top brand and you can always expect greatness from the company. I have never been disappointed by the brand. I will use again for my laundry needs. I just recently changed my laundry detergent to Gain. I changed because of the scent. My clothes smell amazing, that is what led me to buy Gain. My clothes are very clean when they come out of the washer. I have not had any set in stains to test but I don't see this as a problem. I will continue to use this product. I wish that it was not as expensive but I will be looking for coupons. Gain is the best detergent I have ever used, I love it above all others. It's the only detergent I use now. It keeps your clothes smelling fresh. It also keeps colors vibrant longer and my kids and I have never had allergic reactions to it like we have with other detergents in the past. I love the way this detergent smells and it fights stains. My clothes always smell and look good. Thanks to this brand ! I love the original scent of Gain! 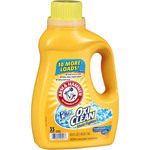 I use Gain original scent laundry detergent almost everyday doing laundry for a large family. Along with the Gain original scent detergent I also combine using it with Gain Original scent liquid fabric softener and also the Gain original scent fabric dryer sheets. Using them all together leaves me and my families clothes smelling wonderful with an everlasting scent. In my opinion, gain original scent is the best when it comes to getting clothes and laundry clean and also smelling wonderfully fresh. Never would I imagine using another product on me and my family clothes and laundry. Thank you for making such a great product and I look forward to continuing being a very proud and loyal customer of the Gain brand. Thanks again from the Parker family!